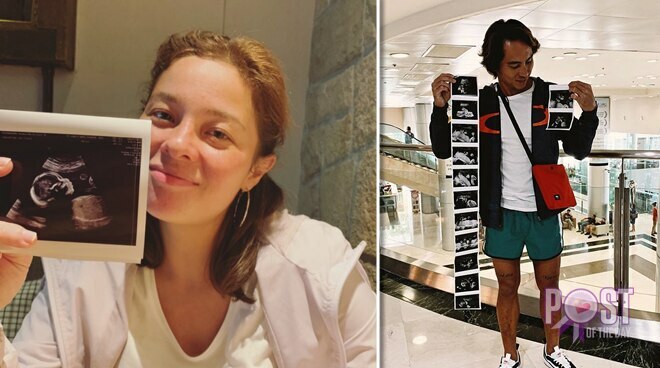 Proud father-to-be Philmar Alipayo shared on his Instagram story that he is excited and happy to see his baby with partner Andi Eigenmann. 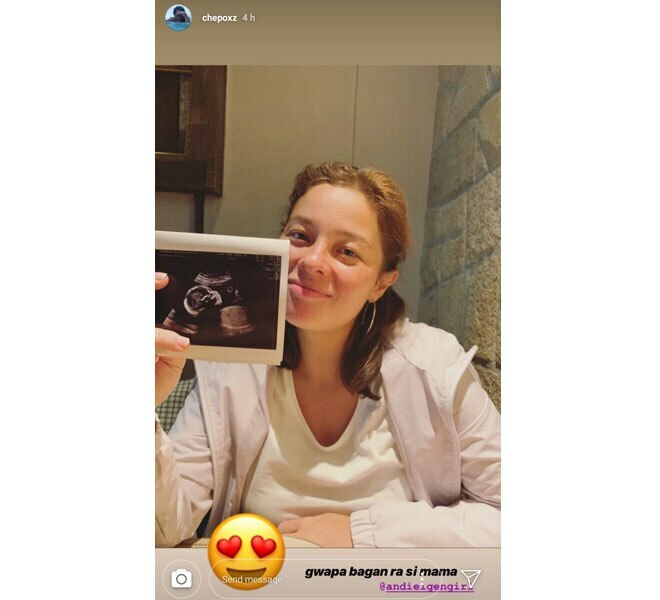 The surfing champ shared a photo of Andi holding the sonogram from her ultrasound and he also took to Instagram to express how much joy this has brought him. “I am so happy to see you today, so happy that I wanted to cry. I can’t wait to see you soon my little [baby],” he wrote. “I can only imagine the day I get to finally meet you. I know for sure I will cry like a baby out of so much joy,” he added. Andi also took to Instagram to thank Philmar for accompanying her in the city. “He’s been stuck in the city for almost a month now and I am so grateful! Thanks for stepping out of your paradise of a comfort zone just to take care of us. Your support has made my pregnancy so breezy, and way less boring that it could be,” she said. Ellie, Andi’s seven-year-old daughter, is also already an excited “ate” waiting for the birth of her sibling.